Sayeed, Michelle, Dean, Tu Loan, Markus, Jon, and I chilled on the summit. No views but with good spirits. A casual and fun group. Best line of the day was “Where did all that hair come from?” and having the target person look around behind her to see what was causing all the excitement (she had just taken off her toque). It took us about 2.5 hours to get up and a little less than that to get down. During the descent we stopped to search for a dropped water bottle. The finder received an intimate hug as a reward. 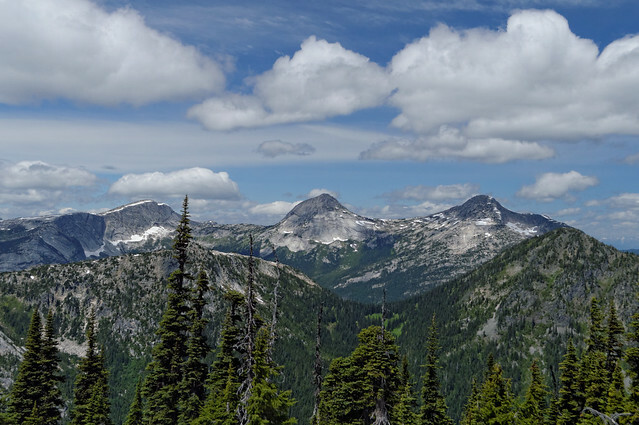 “In spite of the evidence hitting the windshield on the drive out to the Coquihalla, I remained stubbornly optimistic the clouds would clear and we’d have glorious sunshine all weekend. As it turned out, I was half right and we got to enjoy a snowstorm too! After a fairly smooth ride along the 20 km of the Tulameen Road and then a deftly driven 3-km up the bumpy Illal Creek road (still waterbarred but less bushy than I remembered) we made it all the way to the trailhead. 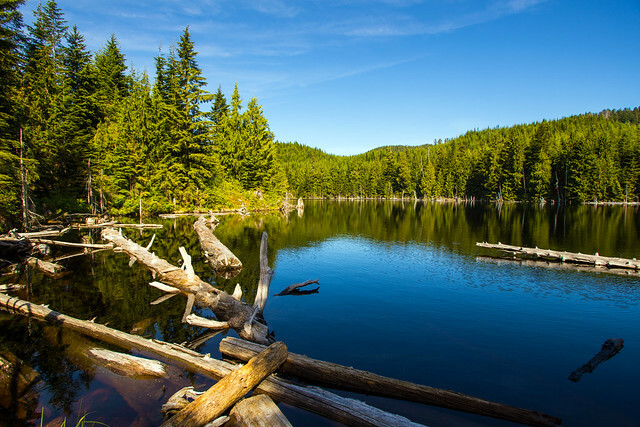 The 5-km Illal Meadows trail gives straightforward access to the meadows, a lovely area with white rock, heather and tarns, from which one can choose their own adventure (Jim Kelly and Coquihalla Mts are popular objectives). Just as we made it out of the forest, the wind picked up and cold, swirling white stuff filled the skies. We found a sheltered spot in a tree clump to eat lunch and imagined the views around us – the elusive Illal Unicorn featuring prominently. With next to no visibility, we went another 3 hrs around Illal Peak and NNE along the ridge towards Spiral before finding a suitable camp spot. We awoke to sunny skies and after a leisurely breakfast continued along the ridge to Spiral (minor scrambling). After lunch on the summit, we wandered back to camp to pack up. Heading back we enjoyed the views we missed the day before. Identifying peaks, marvelling at the fall colours, searching for salamanders, and engaging in serious squirrel discussions, the day went by all too quickly.